When My Son Became Addicted, I Thought It Was His Problem. But Addiction Is a Family Disease. When My Son Became Addicted, I Thought It Was His Problem. But Addiction Is a Family Disease. When My Son Became Addicted, I Thought It Was His Problem. But Addiction Is a Family Disease. As a teenager, my eldest son, Nic, became addicted to methamphetamine, heroin and other drugs. Our family spent 10 years in hell. Any parent who has been there knows the feeling of watching a child on a course that could lead to their death. Countless parents have been there along with me. And too many have suffered worse tragedies. The numbers are staggering. Opioids alone – pain pills, heroin, fentanyl, and similar drugs – kill an average of 91 people a day – and death is only one tragic result of drug use and addiction. Users become physically and mentally impaired, lose jobs and relationships, and end up in prison. And their families are devastated. Over the years Nic was addicted, I tried everything I could to get him help. I forced him into rehab programs. He’d do better for a while. I’d think, Thank God, he’s going to be all right. But then he’d relapse. When Nic was using, he did things that baffled me. I thought I’d raised a moral child, but Nic stole from us. He even stole from his beloved little brother. I thought I’d raised a responsible and loving child, but he ran away and left us in sleepless anguish. Later I learned that Nic’s actions were a symptom of the disease he suffered. Addiction is a brain disease that can lead to unconscionable behavior. I didn’t know then. I blamed myself and him. My wife Karen and I attended a lecture to learn about the disease that had afflicted my son. It was the first time I heard a counselor say that addiction is a family disease. I resisted the message – I thought, Nic is the one who’s ill! He’s the one who needs help! – but we were sick, too. Karen and I carried on as normally as possible, trying to protect our younger kids as best we could, but not only were they confused and intensely worried about their big brother, they were traumatized because their parents were. Nic finally got the help he needed when a psychiatrist determined that he didn’t only suffer from addiction, but co-occurring mental illnesses. He began treatment for addiction, bipolar disorder and depression. Treatment continues, and he’s been sober for eight years. In the meantime, even as Nic was in recovery, our family continued to struggle. Addiction traumatizes and trauma endures. We suffered a kind of post-traumatic stress disorder (PTSD). When a family member is addicted, it’s understandable that they’re the focus of treatment – without the help they need, their disease can kill them. Meanwhile, the rest of the family can fall apart. Couples under enormous stress sometimes don’t make it. Children in families with addiction are at high risk for emotional and psychological problems, they’re less likely to maintain relationships later in life, they have worse educational outcomes, and, not surprisingly, they’re at high risk for addiction itself. Currently, most treatment programs ignore families, but their anguish must be recognized and they must be included in treatment. There are two compelling reasons: One is that it’s unconscionable to ignore their suffering – they need help. Untreated trauma can lead to depression and other psychological and physical illnesses. Second, family involvement in treatment increases the likelihood that the patient will get and stay sober. When my son became addicted, I embarked on what became a journey to learn about preventing and treating this disease. I also learned about addiction’s impact on families and what can help. I wish I knew then what I know now. I would have done things differently. I would have sought treatment programs right away. People told me to “let go” of my son, because, they claimed, those who become addicted must “hit bottom” before they can get well. I could never let go of my son. And now I know that we don’t want to let any person who’s ill with any disease to hit bottom. We want to get them help right away. I would have understood earlier that addiction is a brain disease that’s treatable. When we sought treatment, I would have avoided programs that required participation in 12-Step groups, which help some, but are counterproductive for many patients. Instead, I would have found programs that offered evidence-based care that included psychological testing and treatment for co-occurring psychiatric disorders, cognitive behavioral therapy, motivational interviewing and addiction medication. I would have sought treatment only from doctors trained in addiction medicine. There are directories of these specialists on the websites of the American Society of Addiction Medicine and the American Academy of Addiction Psychiatry. I would have known about the impact of addiction on families and immediately sought help for ours. I would have found a therapist trained in helping families facing addiction. When we finally found a good therapist, my wife and I were helped through a time that tried our relationship. Therapy also helped Nic’s little brother and sister understand and process what they were going through. People often ask me if it’s possible for families to heal and trust again. Because of family therapy, plus time and commitment, our family is stronger and closer than ever. I wish I knew that family participation in treatment improves the likelihood that a patient will get and stay sober. If I knew, I would have looked for treatment programs that included our involvement. I wish I’d known about CRAFT – Community Reinforcement and Family Training. I didn’t know that addiction is a unique disease in that the afflicted often resist or refuse to be helped. It’s not that they’re stubborn, though it seems like they are. Many of them can’t understand that they’re ill, because the part of the brain that’s damaged by the disease is the same part that’s responsible for self-awareness and self-analysis. CRAFT helps families get an addicted loved one into treatment. It also helps families cope and heal. I wish I knew about the range of support, advice and resources that are available, free of charge. One that’s the most helpful is the Partnership’s parent coaching program and Helpline. Finally, I wish I knew that our family wasn’t alone. We thought we were and we remained isolated because of the stigma that comes when a loved one becomes addicted. At first, I tried my best to keep Nic’s addiction a secret. I didn’t want people to judge me. I must be a terrible father if my son was a drug addict. I didn’t want them to think badly of Nic. We readily share our children’s accomplishments – the sports they excel in, their starring role in a school play, the funny thing they said in the car, the academic awards they receive – but we hide when they’re suffering — or when we are. When I wrote a New York Times Magazine article called “My Addicted Son,” a friend read it and warned me not to publish it. She said that people would look at our family differently – that they’d look at our children differently and treat them differently. That they’d judge us. And so I braced myself. The article was published and guess what? If there was any negative judgement whatsoever, I never saw it or felt it. What I did see was an outpouring of concern, offers of help, commiseration and kindness. I connected with people I’d never known. Anne Lamott says that we increase our pain because we compare our insides with other people’s outsides. It looks as if everyone else is doing great, their kids are sailing through, but no one sails through. When we choose to no longer hide whatever it is we struggle with, there’s tremendous relief. We can be supported. We can get help. We learn that we aren’t alone. And we aren’t. We are in this together. Life is hard. Sometimes it’s unbearable. But with openness and love, together we can move from darkness and suffering to light, hope and healing. If someone in our family is ill with another disease, we talk to our friends and neighbors. Do the same if someone you love is afflicted with this disease. Seek help from professionals – this is a complex and terrifying disease and it can be debilitating to the family, as well as the patient. Also, if there are people you know who are suffering from addiction in their family, reach out to them. They need your support and your love. 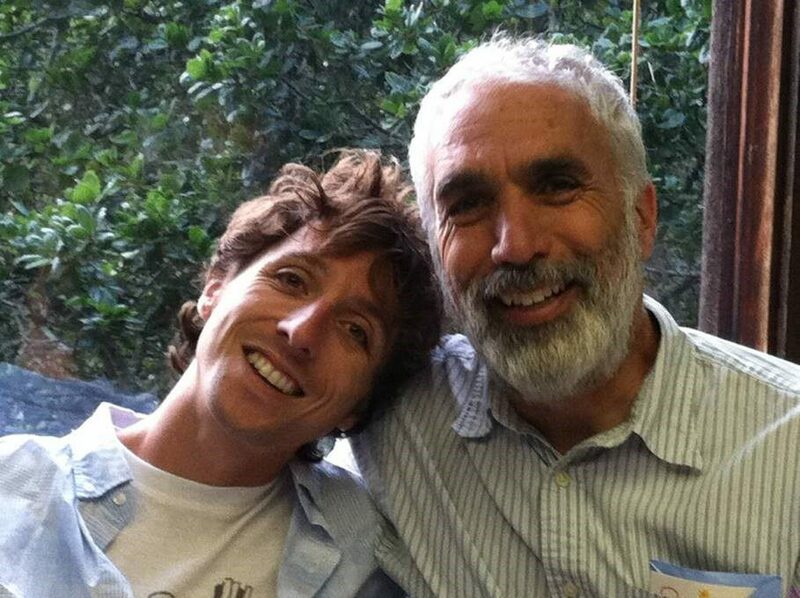 I invite you to join me on Facebook and follow me on Twitter (@david_sheff). David Sheff is a journalist and the author of The New York Times best-sellers Beautiful Boy: A Father’s Journey Through His Son’s Addiction and Clean: Overcoming Addiction and Ending America’s Greatest Tragedy. He’s the recipient of the 2017 American Society of Addiction Medicine media award for his contribution to increasing the public’s understanding of addiction, addiction treatment and recovery, and a former recipient of the Partnership for Drug-Free Kids’ Special Tribute award. Are you ready to get the help your child and family needs and deserves? Contact our trained and caring parent specialists, who are ready to listen, help you find answers and make an action plan. All calls are free and confidential. Hi, I am a parent of 6 children. 4 surviving. I lost my first daughter in 2006 to an overdose and my 2 daughter 2 years ago. I suffer from post traumatic stress..currently my son suffers from chronic pain and buy pain killers off the street and another child (daughter) who is in treatment and is on medication assisted treatment. Great article! Our family has been struggling for years with addiction. I hope to get help for them. Info is so helpful. Thank you! My son has an addiction.My husband refuse to have him in house.So he basically homeless.And he asked me how can he help if he dnt have place to go.He’s dad wrote him off long before he was even addicted. 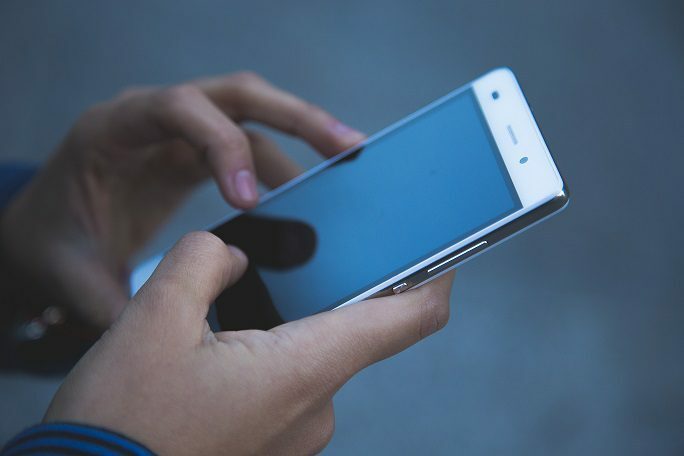 You can always call us and we will help you figure out a plan. The call is free and our parent specialists are very caring and compassionate…1-855-DRUGFREE. That was also my situation. In desperate fear for my daughters life, I had her arrested and she was sentenced to one year in prison. After her release, she was released to me and it is now two years clean. Not an ideal situation, but it has worked so far.